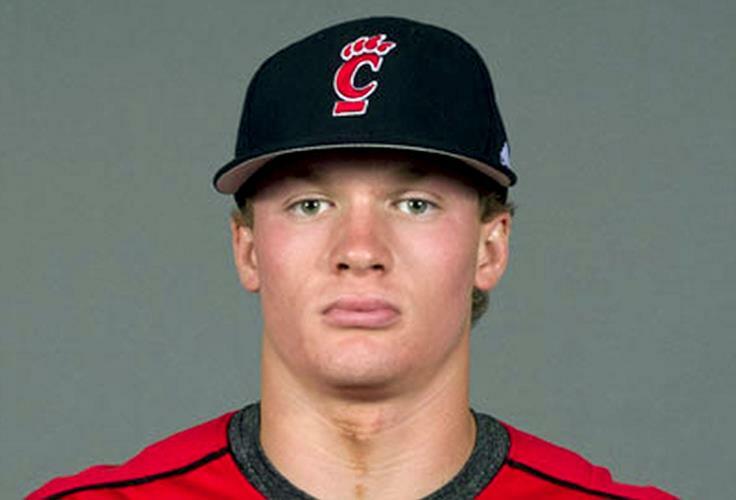 In 2013, Happ earned Freshman All-America honors at the University of Cincinnati. And Ian was the Bearcats' best hitter all three of his years there: 2013-14-15. Nobody had chosen Happ out of Mt. Lebanon High School in Pittsburgh in that draft. That school also produced big leaguers Don Kelly and Josh Wilson. "I was a Western PA kid," Happ said. Ian is a well-rounded player who can run, can throw and he can swing the bat. He is not a greyhound-looking guy, but after a while, the cover’s coming off the baseball. Happ is a baseball rat. Ian has an older brother that played basketball in college. June 2015: The Cubs made Happ their first round pick in the draft, the 9th player chosen overall. And Ian signed for a bonus of $3 million. Daniel Carte was the scout who dug real deep into Ian's makeup. Happ’s humble beginnings may have played a role in the development of his current attitude. A star who hit nearly .500 his senior year of high school in Pittsburgh, not only did he not get drafted, but three Atlantic Coast Conference teams considered him, then gave Happ the brush-off. Cincinnati, not exactly a mecca for college baseball, took a chance. In 2016, Baseball America rated Happ as the 3rd best prospect in the Cubs organization. He was at #2, behind only OF Eloy Jimenez, in the offseason before 2017 spring training. Ian is a confident young man, very confident. Happ dealt with some adversity in 2015. The Cubs did not reveal during the season what was happening, but Ian made it public in November, a few weeks after his father, Keith, succumbed to brain cancer. When Ian was growing up in Pittsburgh, he used to pay $9 to sit in the upper deck at PNC Park. "I would usually sit in that section up there in the third deck, behind the left-field foul pole," Happ said. "You could sit up there, bring a bag of sunflower seeds, and watch nine innings of baseball and there'd be nobody within shouting distance. It was awesome." Happ has gone from the upper-deck cheap seats to the starting lineup of a Major League team. Now, instead of watching the Pirates play, the Pittsburgh native was starting at second base for the Cubs, who rallied to score six runs in the ninth inning and post a 9-5 victory. Happ singled in the three-run first and scored a run and also doubled in the eighth. "My goal growing up was playing in college, and once I got to college and had some success, my next goal was to play professional baseball," Happ said. "That's what I've been working for my whole life." He credited the coaching he received in Mt. Lebanon, noting that his older brother Chris also trained there and was breaking down video of his swing long before most high schoolers do. "To have that kind of support at a young age and that kind of environment to grow up in and learn to play baseball was something I don't think I'd be here without," Happ said. He was so eager to come home that Happ, 22, drove from New York to Pittsburgh after the Cubs game against the Mets. He was able to play golf on an off-day, visited with his high school coach, drove around his old neighborhood, and ate at a popular breakfast spot, Pamela's. The good news is that most of his friends got tickets to the game on their own and he only needed to find 20. "To me, this is awesome," Happ said about being back home. "It's awesome to be back in the city. It's awesome to walk across the [Roberto Clemente] bridge and see the stadium, to be out here, and just the memories of different places I've sat in the stadium, and different games I've watched and the players I've seen, it's really, really special." June 30, 2017: Ian stopped by the University of Cincinnati to say hello to some of the folks in the athletic department and meet new baseball coach Scott Googins. Who knows? The Cubs' rookie could do some recruiting down the road. In the game, Happ was busy with his Major League job, delivering the Cubs' first hit off the Reds' Scott Feldman when he singled with two outs in the sixth inning. It was one of three Chicago singles on the night in a 5-0 loss to Cincinnati at Great American Ball Park. Feldman gave up two hits over seven innings, frustrating the Cubs. Ian can handle himself successfully on the field, and apparently, he can also handle himself giving on-camera game day weather reports. Happ stopped by The Weather Channel on May 16, 2018, to give a weather forecast before the Braves' 4-1 win over the Cubs game in Atlanta -- and he did rather well. He even suggested they hire him. The weather called for some lightning that "looked a little dicey," so he was hoping it wouldn't impact the game. Earlier in the evening, the conditions looked like batting practice was still going to take place -- so that was good news. Happ is from Pittsburgh, so he also gave the report on that area. And, as a bonus, he threw in a forecast as well for the Padres-Pirates matchup, and mentioned there would be rain. 2018: Happ renewed a one-year deal for $570,000. Happ, a switch-hitter, has plenty of strength in his compact frame, and he has a balanced set-up and a short stroke with serious bat speed from both sides of the plate, giving him a chance to be a plus hitter with solid-average to plus power. He's strong enough to drive the ball out of the yard. He hits hard line dives to all fields, making him a plus hitter -- getting a 60 grade on the 20-80 scouting scale. His power is 45, but may improve. He has great hands and game changing speed. He hits the ball out front real effectively. Ian's switch-hitting bat is ahead of his defense, as scouts see a quality hitter with line-drive ability and at least average power potential to go with well above-average speed. Happ has middle-of-the-diamond athleticism and wiry strength. He has a sweet swing from either batter's box. But his ferocious stroke leads to swings-and-misses. However, you rarely see as good hand/eye coordination like Happ has. He just has to settle in and not try to do too much -- play within himself. The calmness, the approach he has at the plate doesn't change. It doesn't matter who is on the mound or the situation, he is very confident and takes what the pitcher gives him. Happ is an above-average hitter who may grow into average power as he matures as a hitter. Eventually, we should see 15-20 dingers per season for Ian. Ian has an excellent eye at the plate, walking like 10 percent of the time with his great strike-zone control. He gets on base and then causes havoc with his plus-speed. He goes deep in counts and walks a good bit. But he also strikes out a lot. “He has tremendous plate discipline. He’s going to hit and hit for power,” Potomac manager Tripp Keister said during the 2016 season. "He just has that air and that confidence about him at the plate that first- and second-year players don't usually have," Tennessee Smokies manager Mark Johnson said late in the 2016 season. "He's way above the curve. He has that eye-hand coordination you don't see very often. It's just a matter of him settling in and not trying to do too much." June 13, 2017: Ian went 1-for-5 with a walk, a grand slam, and four strikeouts during the Cubs’ 14-3 beat-down of the Mets. That makes him, per Baseball Reference, one of only five players in baseball history to hit a grand slam and earn a Golden Sombrero in a single game. Ian has that great combination of power and speed. And he adds plate discipline to the mix. Happ, a natural righthander, said his commitment has paid off with a natural feel from both sides. As of the start of the 2019 season, Ian had a career average of .242 with 39 home runs and 112 RBI in 751 at-bats. At second base, Happ is not particularly fluid, and he’d need to put in the work as a pro to stick in the dirt. He worked hard at it after the 2015 season in instructional league. He was working mostly on improving his footwork. "I was a shortstop through high school and an infielder in college before moving to the outfield as a junior," the former University of Cincinnati standout said in August, 2016. "I like the infield and I want to prove I can play second base. The instructional league helped me a lot." Happ is a fringe-average defender at second base or the outfield. He gets a 45 grade at either position, on the 20-80 scouting scale. Happ has an average arm (a 50 or 55 on the 20-80 scouting scale). Ian probably lacks the range for center field, on a regular basis. But he gets good jumps and takes good routes to the ball. "It's definitely the Cubs' M.O. under Joe Maddon to move players around and that's exciting," Happ said. "Having enough versatility to get your name in the lineup is key up there." Happ is a hard-nosed, high-energy player whose aggressiveness translates to all aspects of the game. Ian's ability to play second , the outfield, and a few other spots may remind people of Ben Zobrist. Ian has athleticism that plays impressively at second base. He can make throws from all angles. His arm strength is an asset there. He works hard at the game, but the big thing is his focus. He locks in on defense. Happ played all three outfield spots during the 2015 season. Then, he was at second base in 2016.The Cubs are seeing if they can develop Ian into being a Ben Zobrist-type who can play anywhere. But Ian prefers second base over the outfield. "I was a shortstop through high school and an infielder in college before moving to the outfield as a junior," the former University of Cincinnati standout said. "I like the infield and I want to prove I can play second base. The instructional league helped me a lot." Ian is a little stiff on the double play at second base. But he is improving at all aspects. “I thought he improved defensively over the course of time here, which is great,” General Manager Jed Hoyer said of the 22-year-old Happ, who can play second base and the corner outfield. He will work on even more versatility in the minors this year (2017)." Happ said he plans to focus on improving his defensive versatility and said he’ll be ready for a callup. He said he feels no pressure to live up to expectations or to keep the Cubs’ freight train of homegrown young hitters rolling. Ian has 55 speed (on the 20-80 scouting scale). He is at least a solid-average runner, with above-average speed once he is under way. Fall 2013: Happ suffered a kneecap injury that sidelined him. May 1-7, 2017: Ian was on the DL with a bruised left thumb.